Living on campus is a great way to meet graduate students from around the globe. It’s also a great way to learn and grow outside of labs and classrooms. 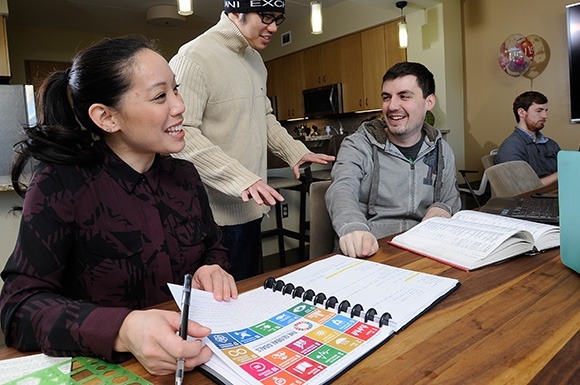 When you live with us you’ll have the opportunity to expand your network, connect with the broader campus community, make long-lasting friendships and develop the skills essential for success in 21st-century careers. A Ph.D. candidate actively writing a dissertation. Paying tuition at the U-M Ann Arbor campus. 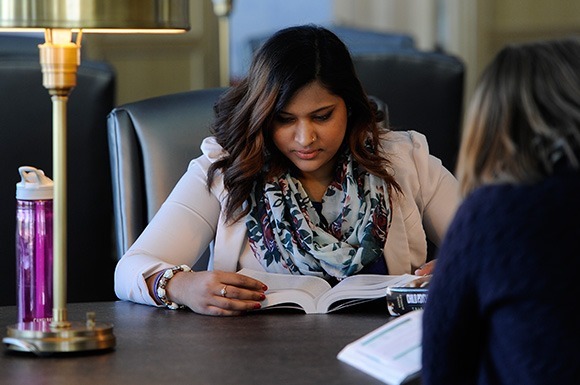 Enrolled for six or more credit hours for two out of three academic terms or actively writing your dissertation (with verification from your faculty chair). 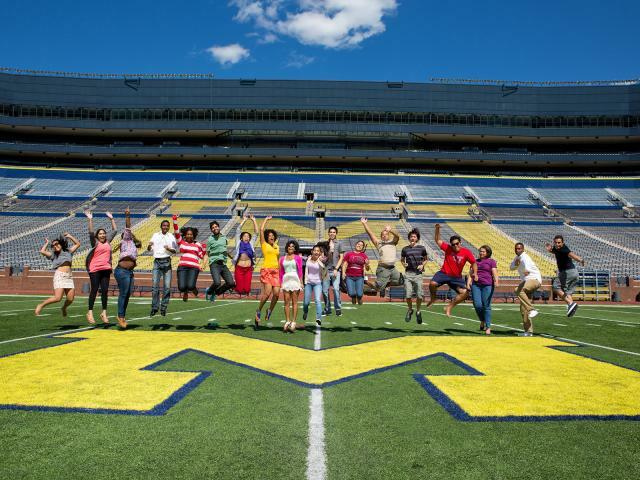 If you are a newly admitted student and you have completed all admission requirements and confirmed your intent to enroll at Michigan, we will send you an email with instructions on how to complete our online housing application. You’ll need your U-M email address and your U-M ID number. If you are admitted for fall, spring or summer term we will send you information in late March. If you are admitted for winter term, we will send you information in early November. 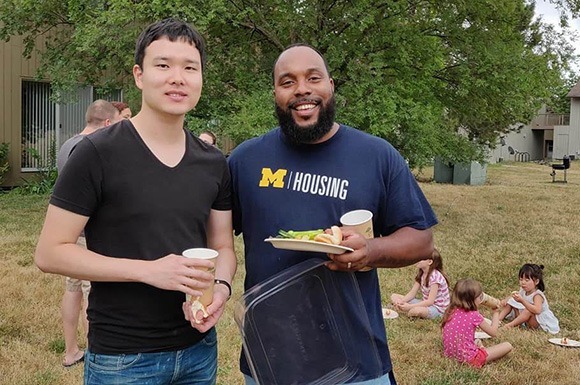 If you are currently enrolled and you’d like to live with us, please request an application by emailing housing@umich.edu from your U-M email account. Be sure to include your U-M ID number in your email. Once we verify that you are eligible, we will email a link that gives you access to our application. Northwood I and II are furnished one or two bedroom apartments with a kitchen, living room and bathroom. Each bedroom comes with one single bed which cannot be removed. Northwood contracts begin on either the 1st or the 15th of your move-in month. All contracts end June 30th. Northwood townhouses have two or three bedrooms. The communities in Northwood IV and V are ideal for undergraduate, graduate and Ph.D. students who will be living with family. Northwood contracts begin on either the 1st or the 16th of your move-in month. All contracts end June 30th. Munger Graduate Residences accommodate six or seven graduate students per apartment and focus on creating a trans-disciplinary community. Each student has their own bedroom and bathroom, and the kitchen and living room are shared. Graduate students complete programs at different times of the year and you may move in to a partially occupied apartment. Munger contracts run from either June 1st until May 23rd, or August 1st until July 23rd. Martha Cook is an historic, all-female residence hall located on Central Campus. The contracts at Martha Cook follow the undergraduate calendar and run from September until early May. If you are an incoming or current graduate student, and you’d like to live at Martha Cook, please fill out the Martha Cook interest form and we will reach out to you about the application process. Henderson House is an economical co-op for sophomore through graduate women. By participating in group meals and activities, the Henderson House creates a tightly knit community of students. The contracts at Henderson House follow the undergraduate calendar and run from September until early May. For current rates, information on the living agreement or instructions on how to apply, email the Henderson House at hsg-assignments-legacy@umich.edu. 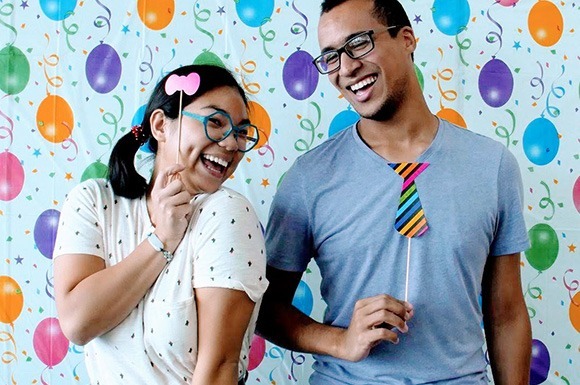 Single graduate students may choose to rent individually or share an apartment. You may select a roommate of your choice or we can assign a roommate to you. If you select a roommate, you and your roommate must submit your applications at the same time. On the application, both roommates’ choices regarding apartment type must match. Contract start dates do not have to match but must be within a 30-day period. If you do not submit an application with a roommate, we will assign one to you. Need a roommate? We offer online roommate board for single graduate students who do not already have a contract and who would like to share an apartment in Northwood Community Apartments. 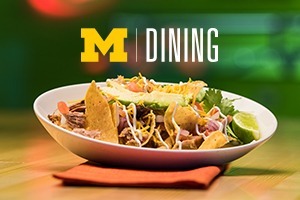 This optional feature is provided to help you connect with other U-M graduate students who are also looking for roommates. 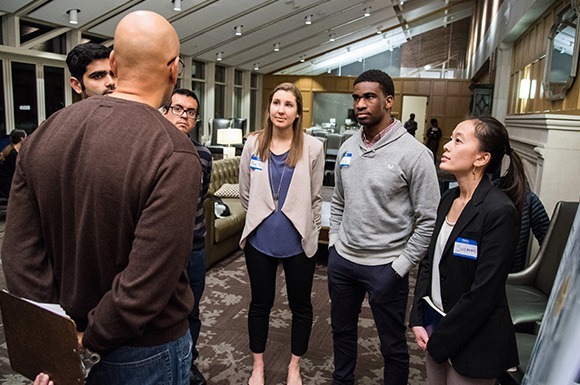 We offer a broad series of programs and events to support our graduate community. A robust series of free events that focus on building community, bridging diversity, developing skills and finding your passion. Fairs that will help you connect with organizations and opportunities on campus. A juried competition that showcases work by teams composed of graduate students and professionals who come together to solve problems. A series of events, classes and activities to support your physical and emotional well-being. If you are applying for an occupancy date in Northwood, that begins between July 1 through Sept 16, you will self-select from available spaces. If you are applying for an occupancy date in Northwood that begins before July 1 or after Sept 16, we will notify you by email if we have a space to offer. Our goal is to notify you a minimum of 30 days prior to your requested occupancy date. Current residents vacating the space. The type of space you request. The occupancy dates you request. Your status in the application process. If you have not received an offer within 30 days of your requested occupancy date, please email us at housing@umich.edu. You can move in on, or anytime after, the day your contract begins. You will need a photo ID to pick up your keys from the Community Center. If you need to ship items to your new address, it is important to make sure the boxes will arrive after you have moved in. Recycling is an important part of Student Life culture, so please make sure you recycle any packing boxes, cardboard or plastics. You will find parking meters along the front and the back of the building. On your move-in day, go to the Community Center (on the eighth floor) to pick up your apartment key and room key. Please be sure to have a photo ID handy. If you arrive after 9:30pm, please call the RA on duty at 734-926-8840. If you do not have a cell phone, there is a courtesy phone at the Division Street entrance. For other information about Munger Graduate Residences, guest policies, and more, check out the Munger section in the Knowledge Base. When you move in, first stop at your Community Center to pick up your apartment key. Please be sure to have a photo ID handy. The Northwood I and II Community Center is located at 2150 Cram Place (Hours). The Northwood IV and V Community Center is at 1000 McIntyre Drive (Hours). If you are planning on parking on campus you will also need to purchase a parking permit. For other information about Northwood Community apartments, please check out the Northwood section in the Knowledge Base. These residential halls follow the undergraduate move-in procedures. Because different graduate residences have different schedules, please check your contract to find out your move-out date. For more information about graduate contracts visit our Policies page. TAKE A LOOK AT GRADUATE RESIDENCE RATES.